Wedding Mazal Tovs from tonight: Mazal Tov to: Ayelet Rachel Shimron and Brian Polonsky. Noa and David Brummer. 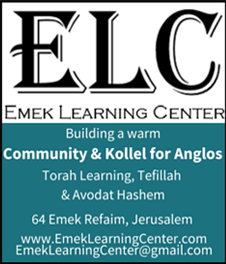 PG many more simchot in our community soon! Engagement and Wedding Mazal Tovs! Mazal Tov Esti and Yosef! Mazal Tov Helene Israel and Moish Ross!! Big Mazal Tov to Helene and Moish who are getting married later today. Good to share good news on IsraelB! Mazal Tov Avi and Atara!! Big Mazal Tov to Atara Oren and Avi Narrow-Tilonsky who are getting married tonight. Send me your good news to post on IsraelB – benjysinger@israelb.org. Mazal Tov!!! Plenty of Wedding Mazal Tovs! Mazal Tov to Rav Reuven and Rabbanit Shani Taragin on the marriage of their daughter, Penina to Itzik. May we continue to hear about Smachot! Weddings Galore in the Hoody! Yes, it’s wedding time this week in the hoody! Mazal Tov to: Danielle Grushko who is getting married to Heskel Balas. Josh Katz who is getting married to Shira Kahn. And, of course, Mazal Tov to Ari Stern who got married on Sunday night. Let’s hope more wedding very soon! 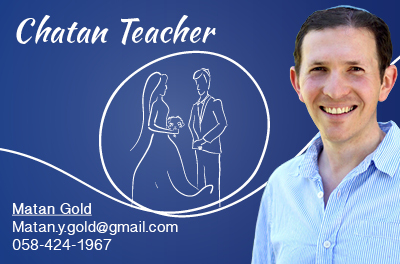 Big Mazal Tov to Ari Stern who is getting married Sunday Night! Lovely to share good news! Weddings Galore – Mazal Tov!